Counterfeit parts may look the same and fit the same, but they fail to meet the expected performance promise due to inferior quality materials. As Toyota is committed to your safety and the best performance of your car, we recommend you always use Toyota genuine parts from your Toyota dealer. With Toyota genuine parts, customers can rely on the highest quality standards ensured by extensive research and testing. Fake parts are both a safety and a financial hazard. Toyota is working hard within its network and with customs and border control to help eliminate from the market counterfeit products using the Toyota name. Fake parts are not made from the same high-quality materials or subject to the same strict quality controls as Toyota genuine products, so lead to health risks for the driver and passengers. Non-genuine parts wear down faster and can cause car breakdowns or accidents. Fake parts which are essential to the proper functioning of the vehicle (clutch discs, brake pads, oil filters) can damage the vehicle and cause costly repairs. Use of fake parts can result in the loss of cover provided by your vehicle’s manufacturer warranty. 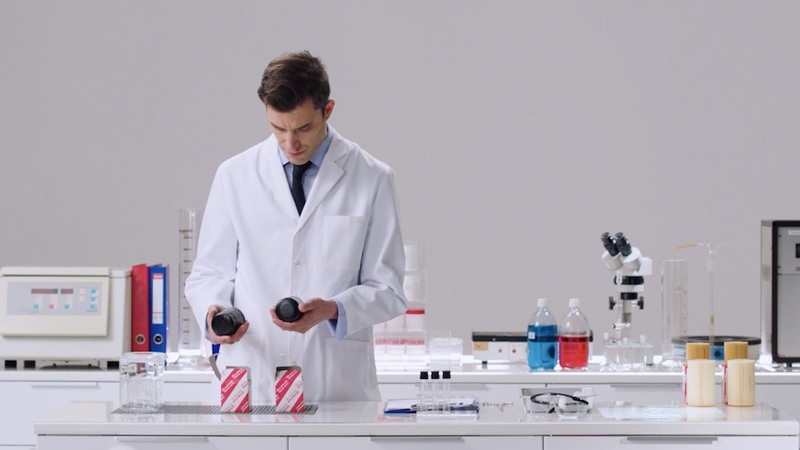 All Toyota genuine products are the result of extensive research and rigorous testing procedures. Every product undergoes detailed examination to guarantee it meets Toyota’s exacting standards of high quality, reliability and performance. Only products that pass these strict assessments are passed to our customer, thereby helping to ensure your safety and the long life of your vehicle. In addition, all Toyota genuine products benefit from a trusted Toyota warranty to ensure that vehicles run optimally and offer the outstanding performance you expect. 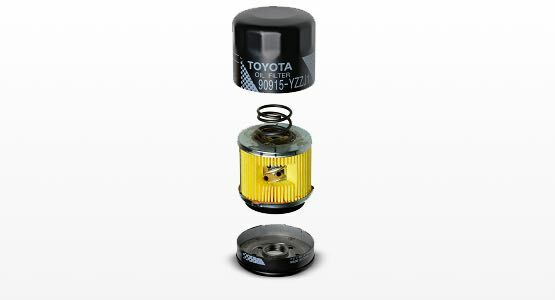 Toyota assumes no warranty whatsoever for any problems resulting from the use of parts other than Toyota genuine parts. The best way to keep your Toyota at the highest level of performance and ensure your safety is always to choose Toyota Authorised Repairers for repair and maintenance and Toyota genuine parts. There’s often no bypass valve so when it clogs, the engine gets no oil at all, leading to seizure and an expensive repair. A counterfeit oil filter contains low quality filter paper which is more likely to clog, which results in oil not being properly cleaned. The ‘o’ ring is liable to be made out of cheaper material making oil leaks into the engine (a fire risk) much more likely. 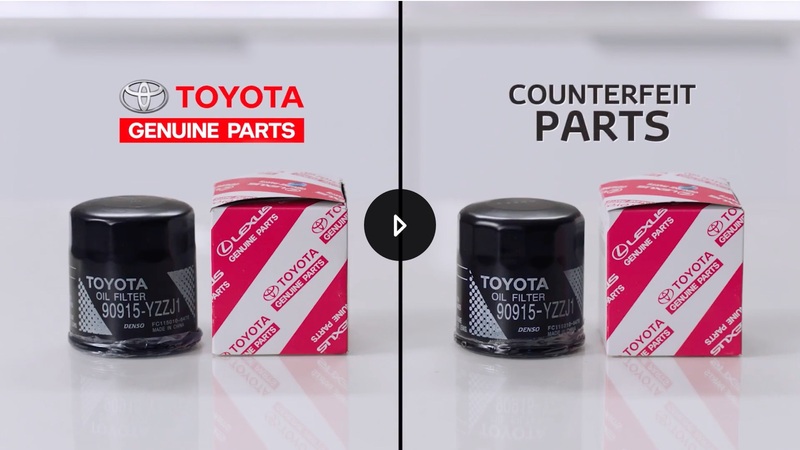 Tests show that compared to genuine Toyota oil filters, counterfeit oil filters become clogged in half the time and need replacing more often. A Toyota Genuine oil filter is constructed with high quality materials and tested rigorously. The quality and construction of casing materials and ‘o’ ring are thoroughly tested to ensure they never leak. 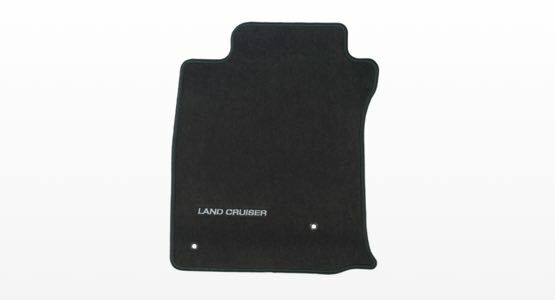 Counterfeit pads are generally made from visibly inferior materials which impart a braking force insufficient to reach basic performance levels. The friction material can separate from the metal plate, leading to brake failure, and a possible road collision. 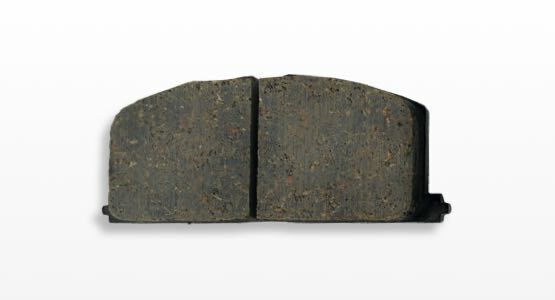 The material is often not as heat resistant as that of genuine Toyota brake pads, making them liable to ignite. Other problems include premature wear, shorter life and the creation of grooves in the brake disc, which causes vibrations, rapid wear and frequent need for replacement. Brake pads are perhaps the most important parts affecting your vehicle’s safety, which is why Toyota regularly conducts tests on them. Made from high quality friction material they are proven to perform to the highest standard. 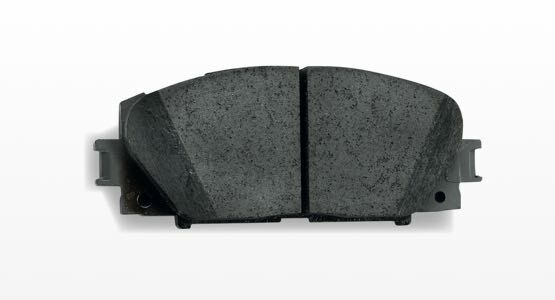 Our studies prove that the typical stopping distances with Toyota Genuine brake pads are 30% shorter than those achieved with counterfeit versions. 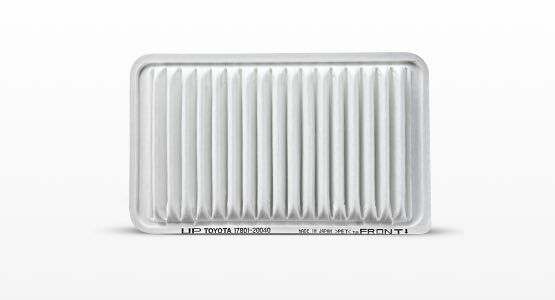 Eventually, all filters become congested and need replacement, but counterfeit filters contain only one layer of filtering material, so clog up in half the time compared to a Toyota genuine air filter. 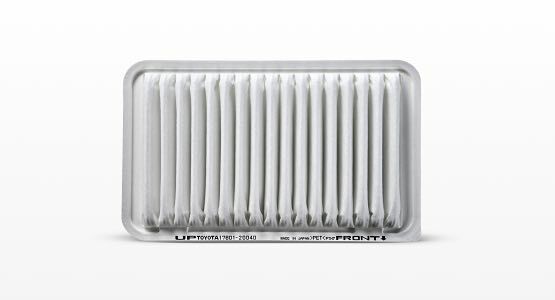 According to our tests, counterfeit air filters hold far less dust than genuine air filters. This means they allow up to 10 times more dust particles into the engine. A Genuine Toyota air filter has three layers of filter material, extending its working life and maximising your engine performance. Its dimensions are precise, with no gaps that might let particles through to damage the engine. With the increasing availability of airbags through discount and auction websites, this is one area where great caution is needed to ensure any replacement airbag is installed through your Toyota Authorised Repairers to guarantee your airbags are effective when they’re needed most. 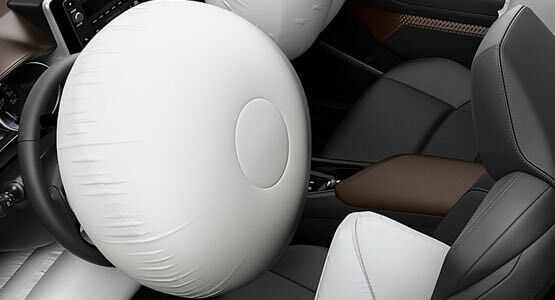 Tests reveal that counterfeit airbags may deploy late or not at all in an accident, cause accidents themselves by deploying when they shouldn’t. Some even throw out metal projectiles into the cabin as they explode. 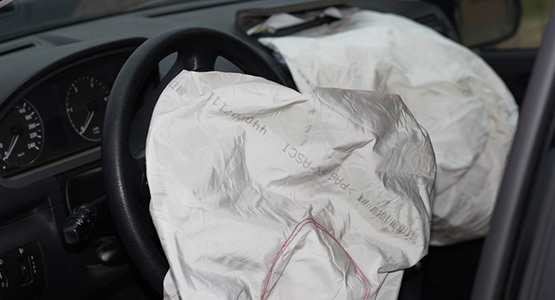 Indicators of a counterfeit airbag include unusually low cost, a different colour or finish to the cover or tear-seams, evidence of being trimmed to fit and the airbag warning light not illuminating during ignition. The quality of components is vital to the correct deployment of airbags. Toyota Genuine Airbags react in one twenty-fifth of a second to a collision. This requires the cables and connectors between accelerometers, sensors and triggers to be made to the highest possible standards and using correct materials. In addition to repair and maintenance items, Toyota genuine accessories have also been illegally copied and are sold on the market. They’re not made to the same high standards as Toyota genuine products, so they too can represent safety risks. 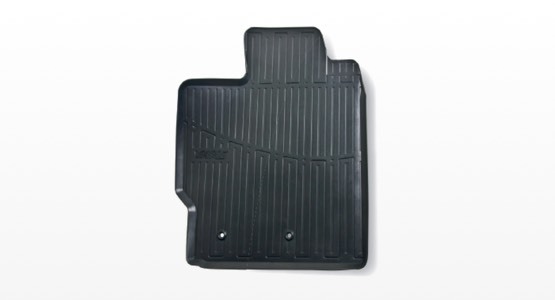 Counterfeit floor mats do not fit your vehicle perfectly so can slip under the pedals and impede your ability to brake. 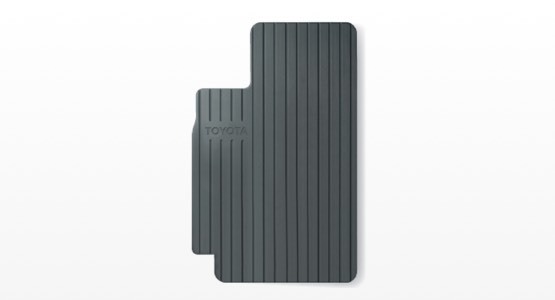 Toyota Genuine floor mats are specifically designed to fit each individual model perfectly. 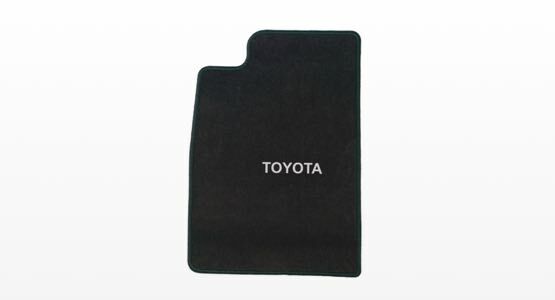 All Toyota floor mats, whether textile or rubber, fit the vehicle perfectly and are specially designed so they won’t slip out of position. Counterfeit plugs may look the part, but don’t act the part. 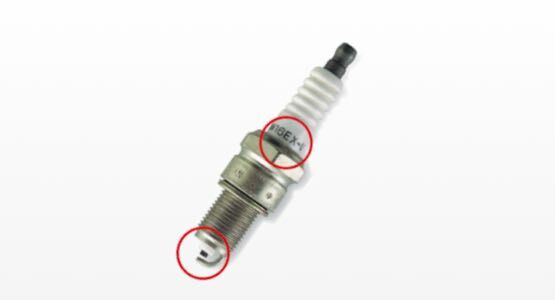 For example, the number indicated on the spark plug refers to the heat range it can withstand. 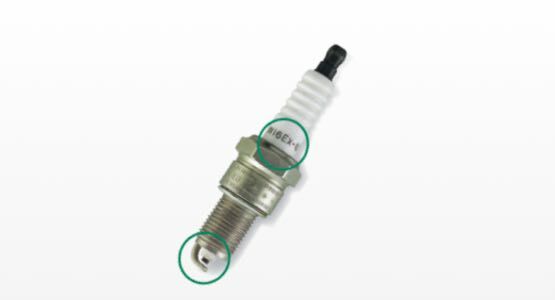 Tests show that counterfeit spark plugs often cannot endure the high heat indicated by the number on the casing and in the worst cases, the electrode melts, leading to engine damage. With no copper electrode, the heat resistance of the counterfeit plug is far lower, leading to potential engine damage. The low-quality insulator is unable to withstand the high voltage required for effective firing, leading to voltage leak, engine misfiring and lower engine output. With no copper structure within the central electrode, counterfeit spark plugs erode more quickly and to a higher degree than the Toyota genuine equivalent. Spark plugs play a major role in determining optimal vehicle performance and ensuring the reliable functioning of an engine. Toyota Genuine Spark plugs can perform to the heat specifications shown on the casing. As well being properly tested to ensure it meets the indicated performance levels, the central electrode is constructed from copper to offer efficient heat conduction. High quality products which are certified and maintain your Toyota warranty. 100% guarantee that the parts are made to Toyota specifications and fit perfectly. High resale value of your Toyota due to usage of only Toyota Genuine Parts. In every test, there is no contest. The performance of your car combines with your continued peace of mind to ask your Toyota dealer for Toyota Genuine Parts as the only good option when repairing your Toyota. Recall As part of Toyota’s commitment to quality and safety, Toyota is expanding these recalls involving certain Takata airbag inflators in Toyota. At Toyota, the safety of our customers is our number one priority, which is why we continually monitor the performance of our vehicles through a number of sources. If we become aware of a certain component or aspect of our vehicles that doesn’t meet our strict standards we will take appropriate action, as we have done in this instance. Toyota Service Promise The Toyota Service Promise is to keep your Toyota a Toyota. Discover the ways we are committed to taking the best care of you and your Toyota. Toyota Olympic and Paralympic Partnership | Toyota Europe We’re incredibly proud to announce our partnership with the International Olympic Committee and the International Paralympic Committee until 2024. Toyota's Journey to Dakar 2017 Dakar’s back for its eighth successive year in South America, join the action and follow the Toyota teams' progress. Better Designed For You When you take to the road, it’s important to know that your Toyota is ready for anything that might come its way. Discover how Toyota’s innovative thinking and technology – from hydrogen fuel cells and THUMS family, to aerodynamics and extreme temperature tests – results in better, safer cars for everyone. Toyota make the podium at Dakar 2016 Relive the mud, sweat and cheers of Dakar 2016 as two Toyota teams raced towards the podium, finishing 3rd and 5th. Toyota's Journey to Dakar 2016 Dakar’s back for its eighth successive year in South America, join the action and follow the Toyota teams' progress. Toyota Genuine Motor Oil In the same way that we need water to function, or plants need sunlight to bloom, your car’s engine needs the protection of motor oil to survive and continue to perform at its best.